Sound Celebration Chorus Third Place Small Chorus in the World! 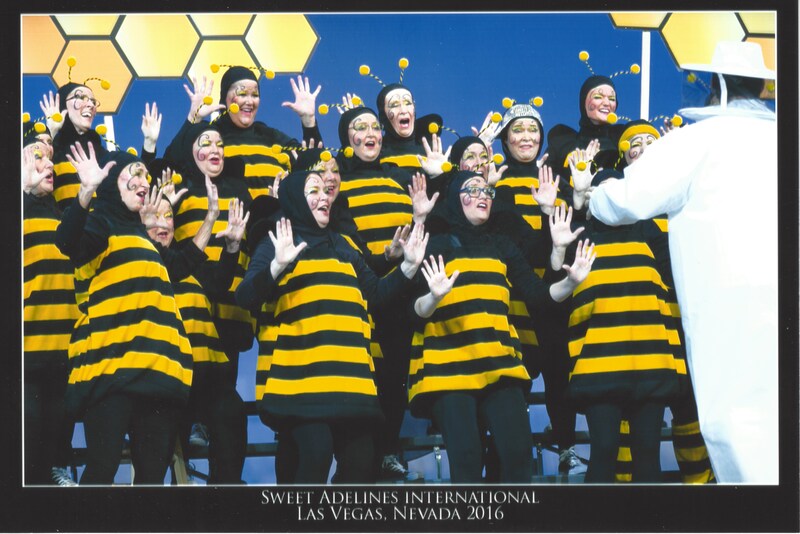 The Sound Celebration Chorus just returned from Sweet Adelines International (SAI) Harmony Classic Competition with a Third Place Medal. 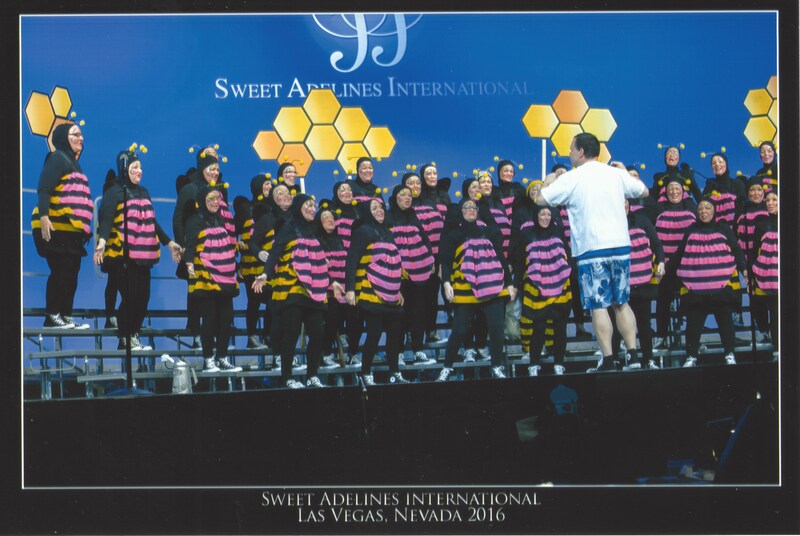 We are thrilled to be the THIRD highest scoring small chorus in the WORLD. 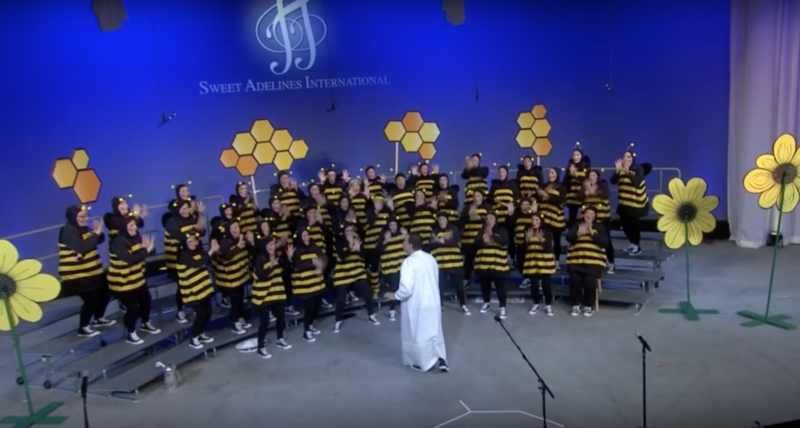 We shared the stage in the Grand Arena at the MGM Grand in Las Vegas with other Division A small choruses from California, Florida, Canada, and England. The Chorus won our place to compete at the international level when we competed in the annual Regional Competition held in Cedar Rapids, IA in the Spring of 2015. We also won the coveted Most Improved Chorus medal at that time. Harmony Classic allow the sets to be not less that 13 minutes or longer than 15 minutes. 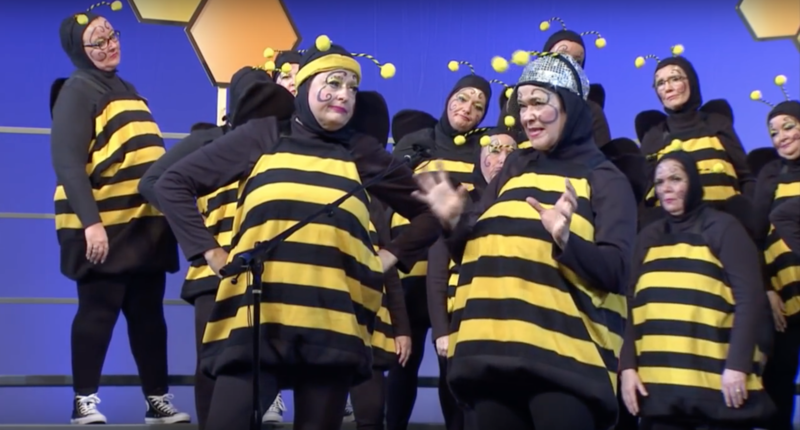 We used those minutes on stage to present a clever, entertaining, and humorous set costumed has bumble bees. 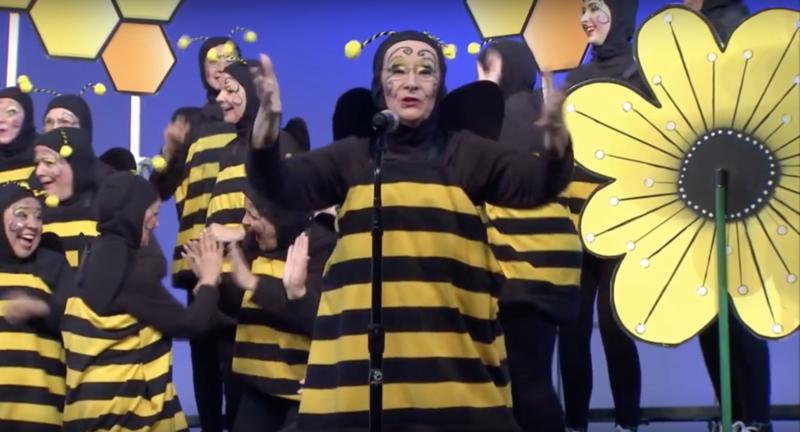 Our set included parodies of songs all arranged in the barbershop a cappella style, including; "A Day in the Hive," set to the music and disco beat of "Stayin' Alive," a version of "Balling the Jack," and another parody set to "They'll Be Some Changes Made." We told the story of how if you are wanting changes in your life, sometimes those changes start within you. The entire set can be seen on our home page. Take a look, we know you will love it. The members of the Sound Celebration Chorus, under the direction of Terry Ludwig, all share a love for music and singing four-part barbershop harmony. Rehearsals are on Mondays, 7:00 p.m. at the Hoogland Center for the Arts in Springfield. Come visit anytime!